How can something so small be so useful? This is the little gadget that you never knew you needed! 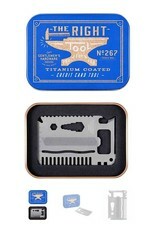 The Credit Card Tool is no bigger than a bank card but can be used for 15 different things: a cutting edge, a large flathead screwdriver, a bottle opener, a 3.3mm spoke key, a 34.5mm spoke key, a moustache and beard comb, a small flathead screwdriver phone stand, a nail or wood file, a 4cm ruler, a nail pry, a 6.5mm accessory bit driver, a saw blade, a series of wrenches (10,8,6,5,4mm) and a box or line cutter. 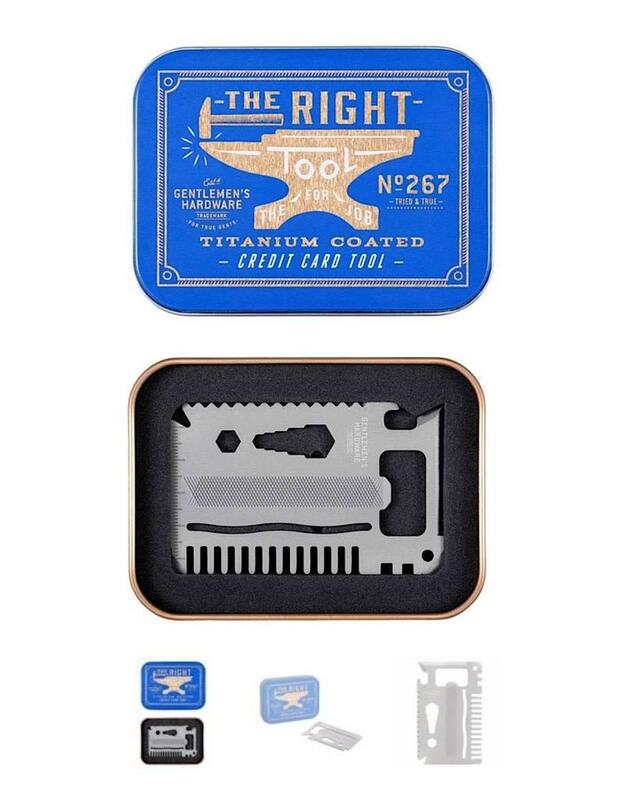 With a Titanium finish for maximum durability, The Credit Card Tool comes in a nifty tin to take with you anywhere and everywhere.